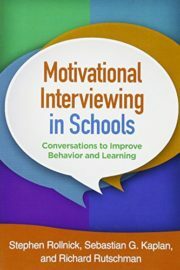 The first teacher’s guide to the proven counseling approach known as motivational interviewing (MI), this pragmatic book shows how to use everyday interactions with students as powerful opportunities for change. 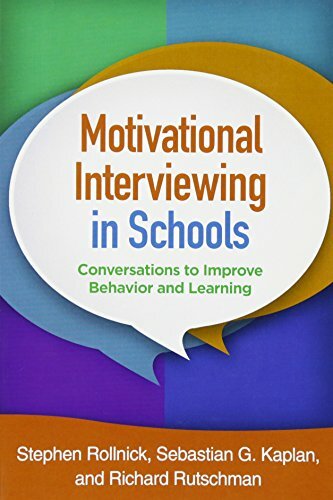 MI comprises skills and strategies that can make brief conversations about any kind of behavioral, academic, or peer-related challenge more effective. Extensive sample dialogues bring to life the “dos and don’ts” of talking to K–12 students (and their parents) in ways that promote self-directed problem solving and personal growth. The authors include the distinguished codeveloper of MI plus two former classroom teachers. User-friendly features include learning exercises and reflection questions; additional helpful resources are available at the companion website. Written for teachers, the book will be recommended and/or used in teacher workshops by school psychologists, counselors, and social workers.